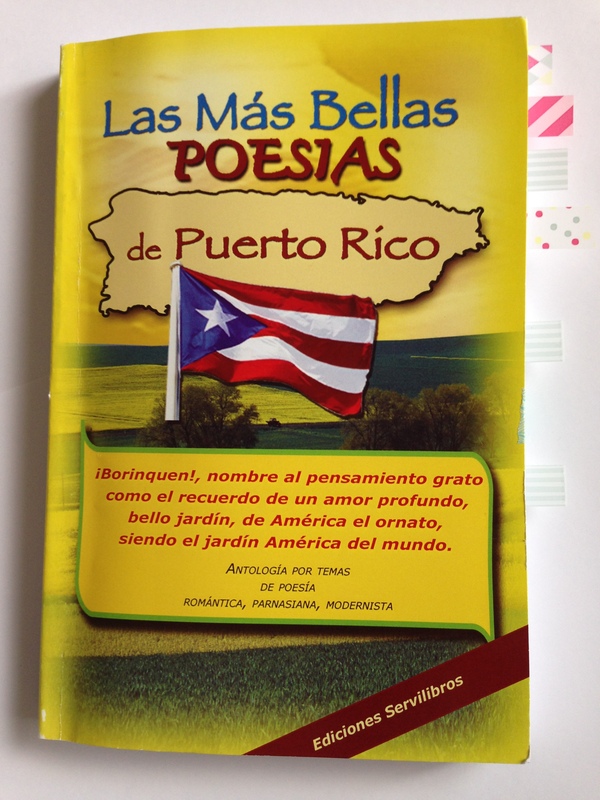 Las Más Bellas Poesias de Puerto Rico, an anthology compiled by Edwin Miner Solá and divided into eighteen topics was given to me as a gift by my mom and has resulted in the equivalent of a crash course in Puerto Rican literature which I now want to share with you. It includes works from the following literary movements: Pasnassianism, Modernism and Romanticism. 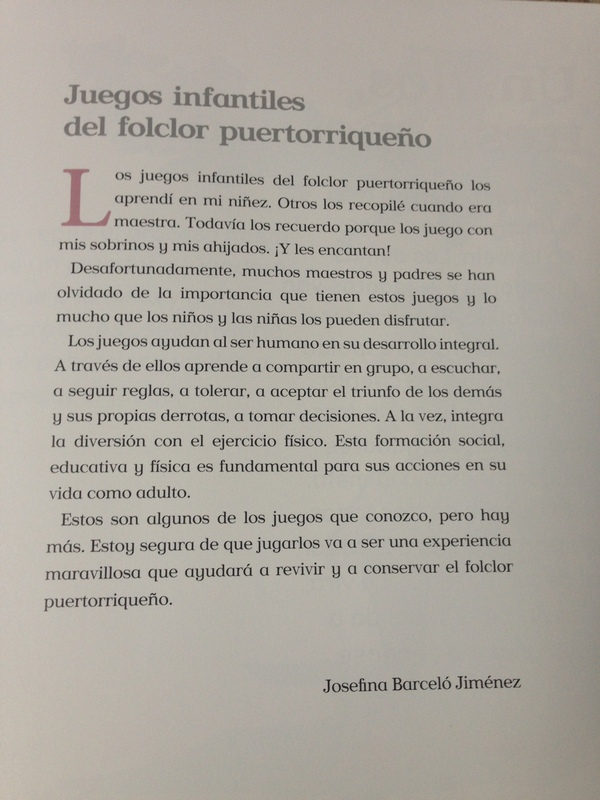 The book was printed in San Juan, Puerto Rico in February 2011. I don’t know why but this makes me really happy to have a book of poems by Puerto Rican authors compiled and printed on the island. The book’s introduction provides some great information that felt new to me. Maybe I wasn’t paying attention in my Spanish Literature class or maybe it was just not presented as it is in this introduction. The cultural literary movement in Puerto Rico developed much later than it did in most of the colonies and Latin-American republics. This was partly due to the following: lack of university, isolation, illiteracy, literary censorship, and the restricted freedom of thought imposed by the regime. Even though printing began in 1806 there was still no book commerce in 1840 and as a result obtaining books relied on young students that returned from universities in Spain. Despite all these obstacles the first publication, titled Aguinaldo Puertorriqueño was published in 1843. 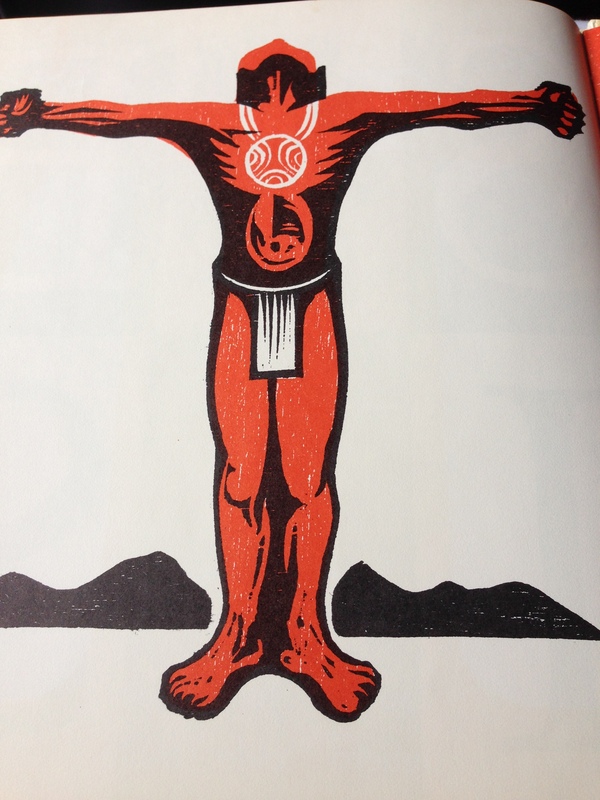 This first publication was a sort of anthology and inspired future publications. Aguinaldo Puertorriqueño, by its title can lend one to assume it’s a collection of Christmas themed poems and the like but in reality it has nothing to do with Christmas. The publication itself was meant as a gift, hence the title, and is a collection of essays in prose and verse. The following year Album Puertorriqueño was published. 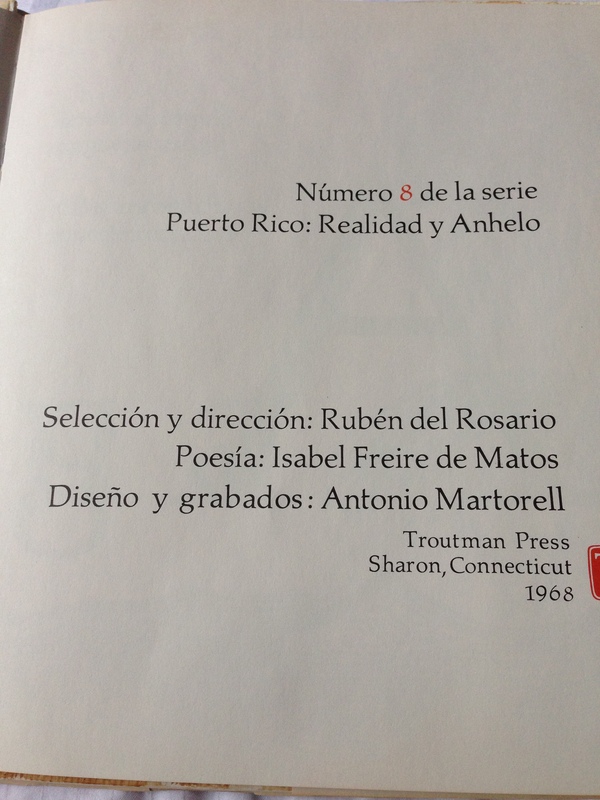 These publications gave way to the first important book of our literature: El Gíbaro by Manuel A. Alonso. This was published in 1849 and is a collection of photographs documenting (and critiquing) the customs and traditions of Puerto Rico. 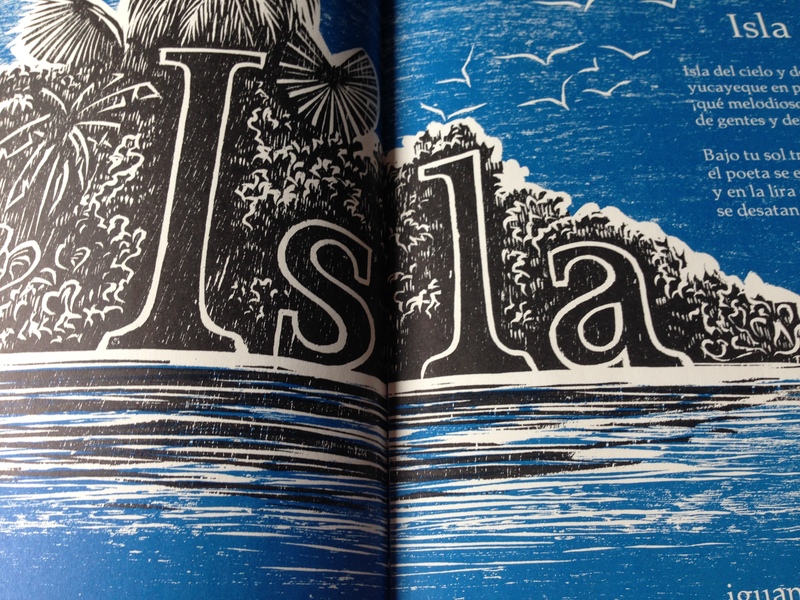 At the time of publication the majority of people on the island were illiterate. 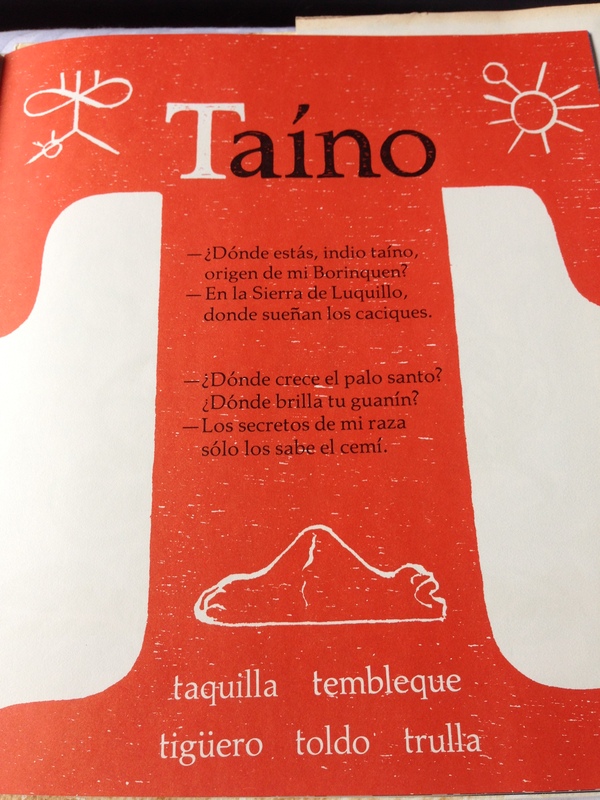 The Antilles were not known for literature, they were simply places to exploit for riches, this book began a movement to build a literate citizenry as well as the preservation of Puerto Rican culture. 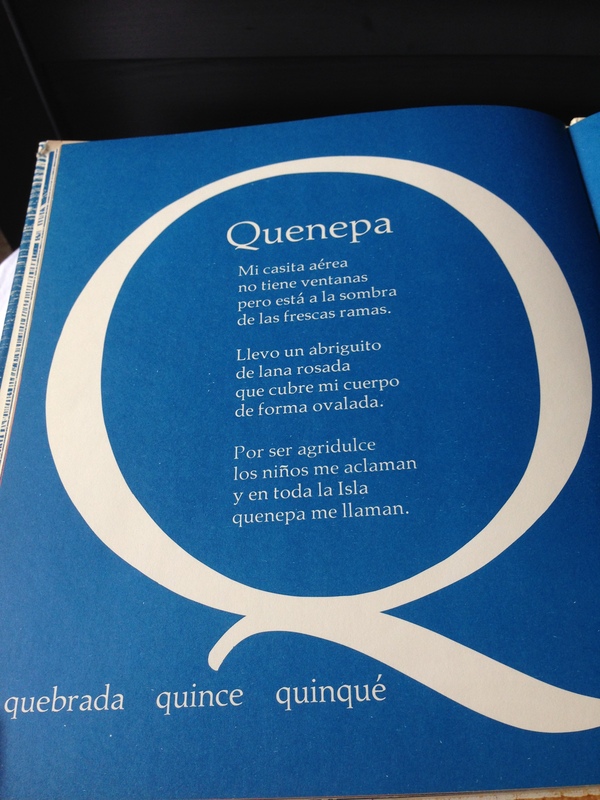 It’s funny how a collection of poems has awoken my interest in Puerto Rican literature. I have fallen down a rabbit-hole of literature and I’m enjoying the journey. I read through most of the poems in this book last night and there is so much in here to think about and digest. Some poems stuck out to me, like Nostalgia by Virgilio Dávila. 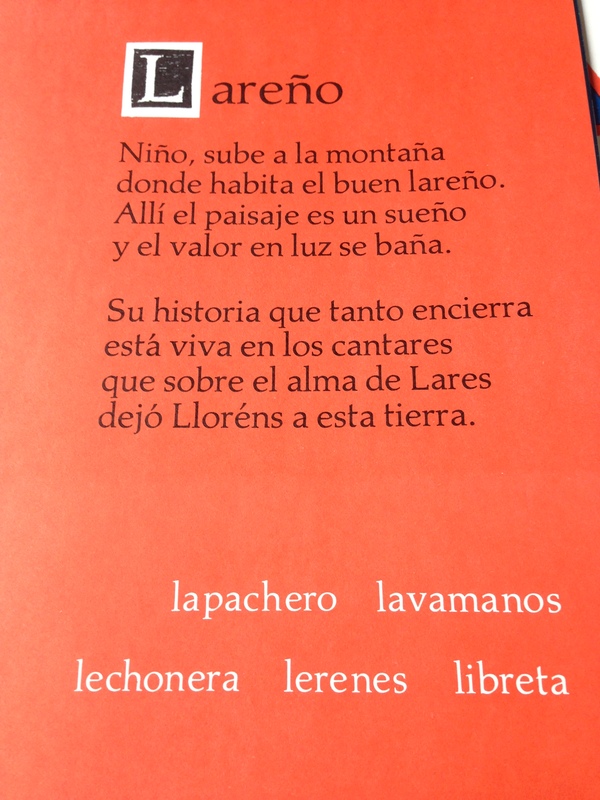 I grew up listening to Andrés Jiménez sing the words of the first stanza without knowing their origin and inspiration. Now I know. Gracias Mami por este regalo tan perfecto. Posted in Books and tagged #fridayreads, bookfridays, books, español, literatura, literature, poetry, puerto rico, Spanish on January 16, 2015 by abbydlr. Book Fridays- ¡Vamos a jugar! ¡Vamos a jugar! 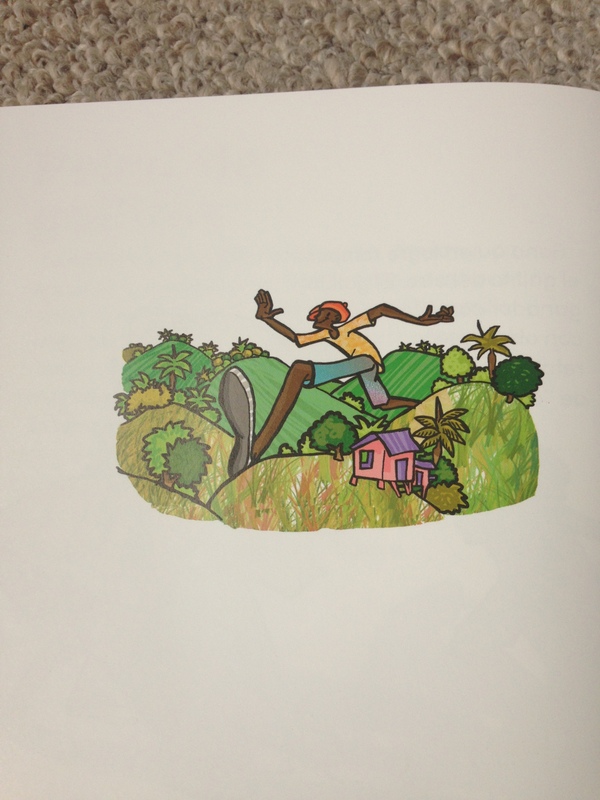 is a wonderful book featuring a collection of traditional games played by kids in Puerto Rico. 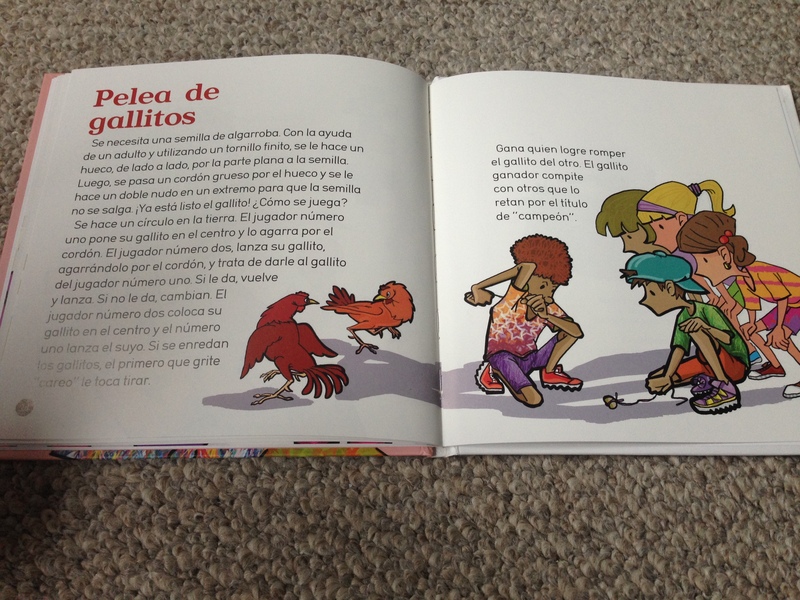 It was written by Josefina Barcelo Jimenez and illustrated by Juan Alvarez O’Neill. I had never heard of this book until my mom sent it for Diego. It was a lovely surprise to see that this book exists. It helped jog my memory to all those games that I used to play as a child. Some of the games I had never heard of (or just don’t remember playing) but a lot of them were childhood staples. The book is a collection of these games along with explanations as to how they are played. Each game has an illustration that goes with it. It’s a simple book but a great resource. I can see this being used by parents and teachers alike. Older children can read for themselves and then try out the games. A great activity that involves, reading, reading comprehension, following instructions and teamwork. Playing games was such a big part of my own childhood. I played outside a lot. I wonder if Diego will have that experience. Part of me knows that things are different now and that he probably will not enjoy a lot of the activities I once took for granted. I hope that this book (and books like it) can change that. That it will serve as a reminder of the wonderful games we once played as children. Right now, Diego is too young for most of these games but I will treasure this book and pull it out often as he grows up. The illustrations are one of my favorite aspects of the book mainly because they reflect the many different shades of Puerto Ricans! Often times media is whitewashed and so I was happy to see different skin tones and hair textures featured in these illustrations. I think that’s important. 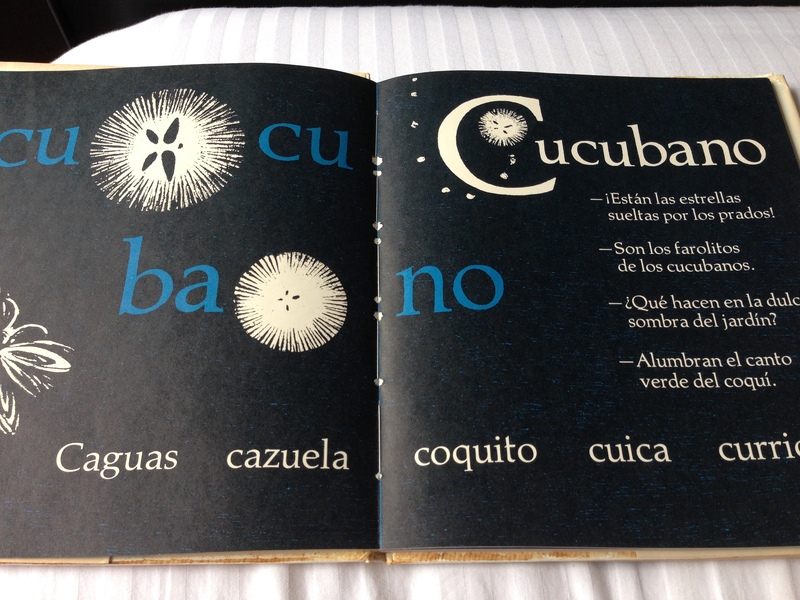 Posted in Books and tagged bookfridays, books, childhood, games, kids, puerto rico on November 21, 2014 by abbydlr. Welcome to the first instalment of book Fridays where I will share and review some of my recent reads as well as some books I’ve been reading to Diego. 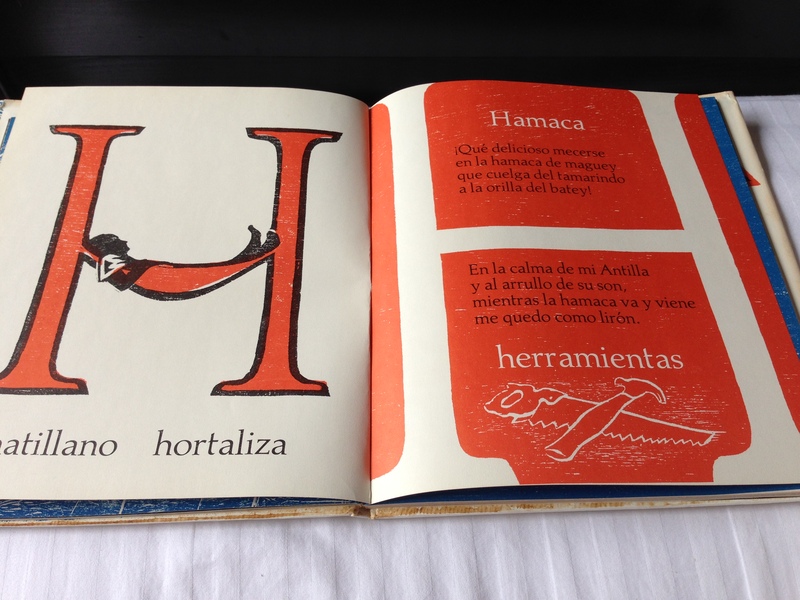 Today I want to share with you a wonderful ABC book that I stumbled upon completely by accident. 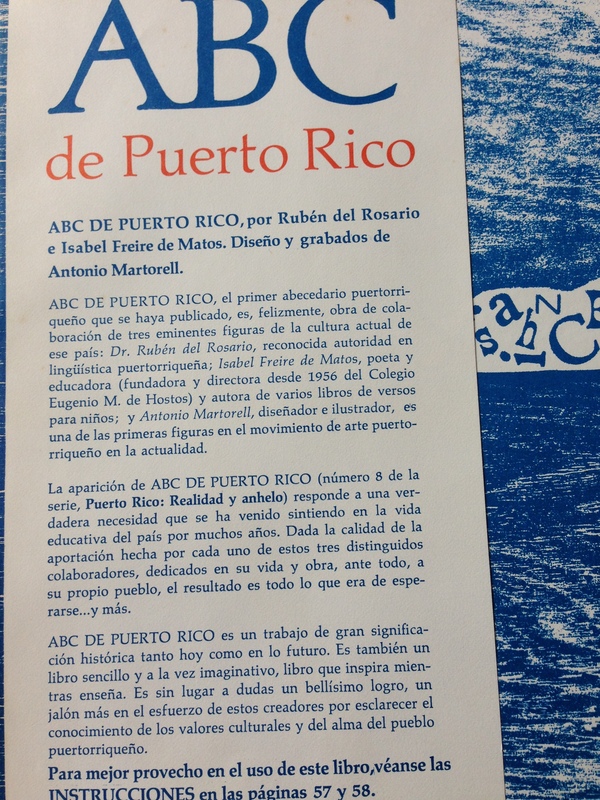 ABC de Puerto Rico (written by Ruben del Rosario, Isabel Freire de Matos and illustrated by Antonio Martorell) was published in 1968 and was written for Puerto Rican children specifically. 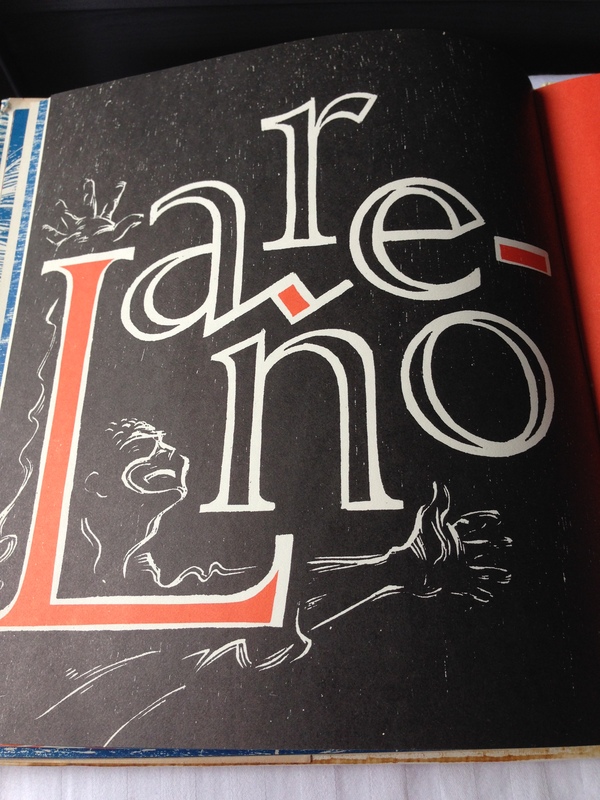 It is clear that Puerto Rican culture and language is celebrated in its pages. 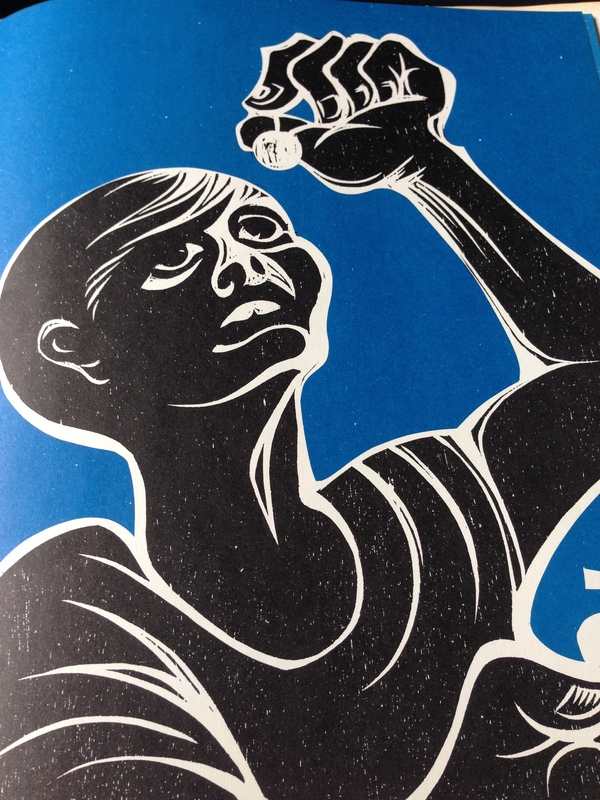 The woodcut illustrations are beautiful and the way the grain of the wood shows up in some of them is nothing short of amazing. 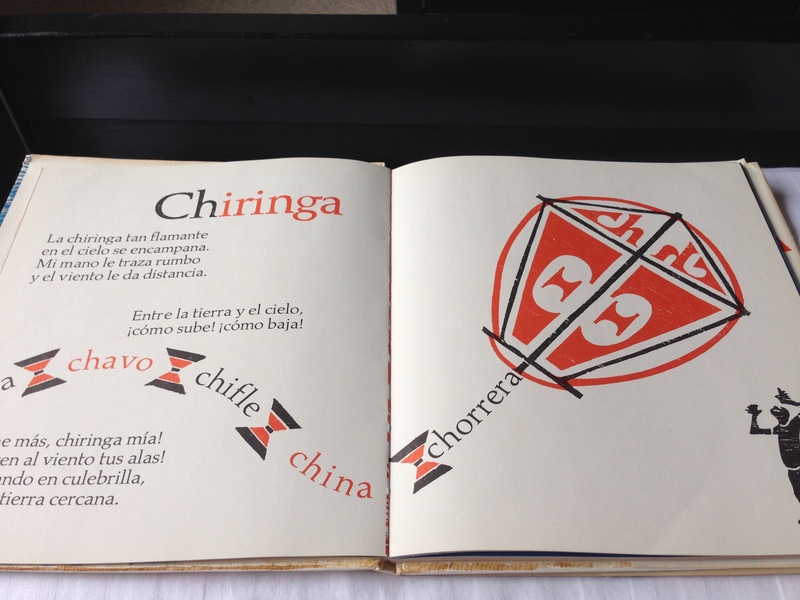 I cannot find the source but I read that Mr. Martorell was given an award by the American Institute of Graphic Arts for his work on this book. 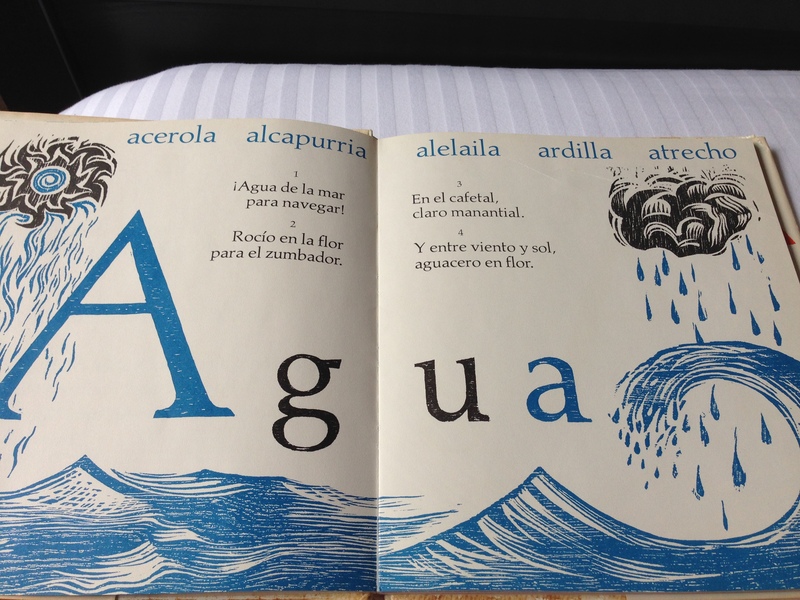 The short poems that accompany each letter are wonderful to read out loud and I have enjoyed reading them to Diego. They were written by Isabel Freire de Matos. She was was a writer, educator, journalist, and activist for Puerto Rican independence. It is no wonder that ABC de Puerto Rico was banned on the Island for its alleged anti USA sentiment. Personally, I do not find any evidence of this within its pages. All I see is a book that celebrates Puerto Rico, it’s culture, and its people. I suppose, for some that is all that is necessary to consider this book incendiary. 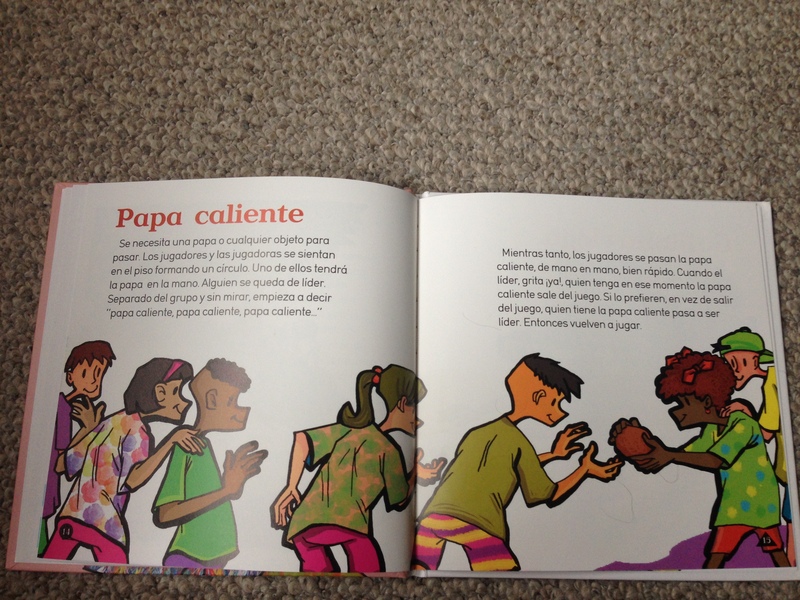 Raising a bilingual child is not easy and so I am always on the lookout for material in Spanish that will aid me in developing his language. 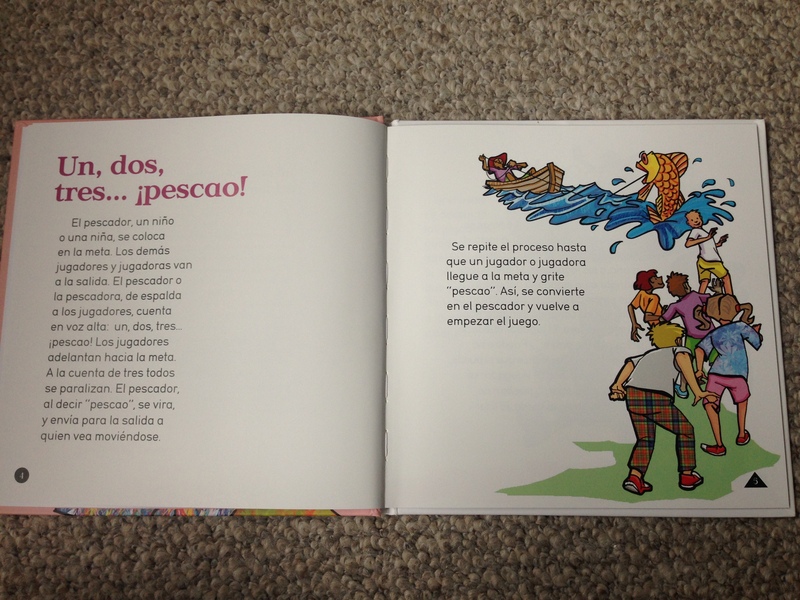 Most of the bilingual material readily available treats Spanish as a language the child needs to overcome. Having a small piece of Puerto Rican history that Diego can grow up with feels invaluable. He does not have the benefit of growing up in a country where Spanish is the dominant language. 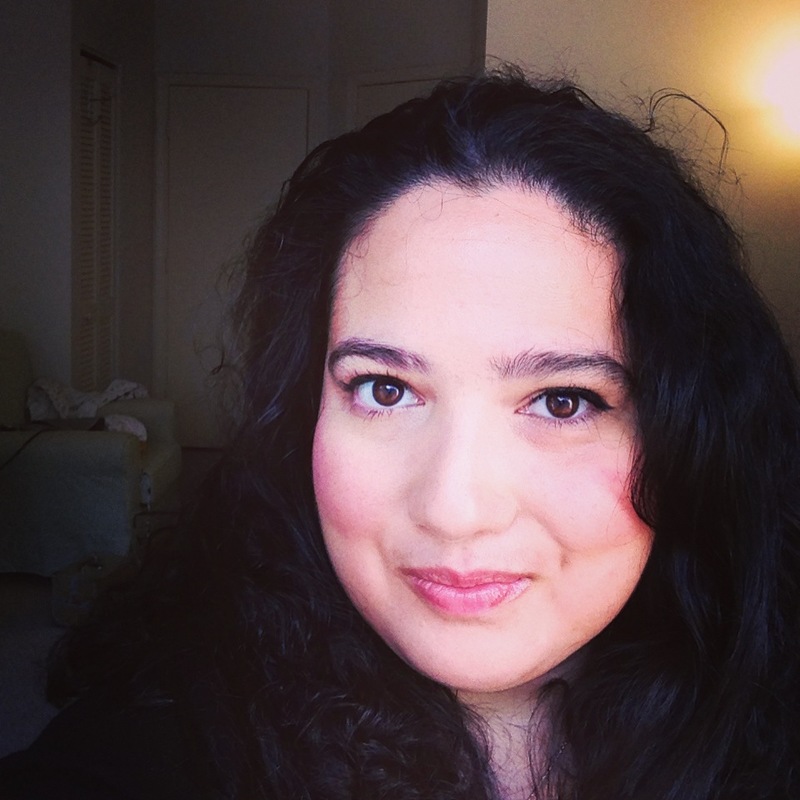 Unlike my husband and I he will not grow up immersed in Puerto Rican or Nicaraguan culture. It is for this reason that we need to put in the effort to expose him to the things that we took for granted. I am grateful to be bilingual and bicultural and I wouldn’t have it any other way. I want the same for my son. This book is part of the journey. Below are some photos I took of some of my favorite illustrations. These photographs do not do them any justice.